The last few months have been hard on digital wallets which had a short-lived dream run post-demonetisation. If the Reserve Bank of India’s representative data on prepaid payment instruments -- a chunk of which is made up by mobile wallets -- is anything to go by, it could soon be game over for many players. According to RBI data on PPIs, while in January they collectively clocked Rs 38.3 billion in transactions, the numbers fell to Rs 36.5 billion in February. While the March numbers are still not out, the numbers might fall again as many users have stopped using mobile wallets after February 28, which was the deadline for the know your customer process. According to observers, the digital money space has lost almost 45 per cent of its user base. Although mobile wallet firms including Paytm, Amazon Pay, PhonePe and MobiKwik have collectively spent close to a billion dollars to draw in users for KYC authentication, nothing including heavy cashback has borne fruit. Fearing the worst and in an effort to diversify to other businesses, many of the fintech players whose primary revenue generator was wallets are now either completely pivoting towards or finding other businesses to stay relevant. From providing corporate expense management solutions, alternative credit rating services, supplying micro-ATMs in rural areas, running closed mobile wallets for other players to financial services such as mutual funds and insurance, digital money providers Paytm, MobiKwik and others are expanding, pivoting and transforming their core business model in the hope of becoming a complete financial services solution. “I think the nature of what one understands about wallets is undergoing a change. For me MobiKwik is becoming a smart money app. You can start disassociating the wallet from the app. On my app one may have a loan outstanding, an insurance product, EMI card from Bajaj and also have a wallet. 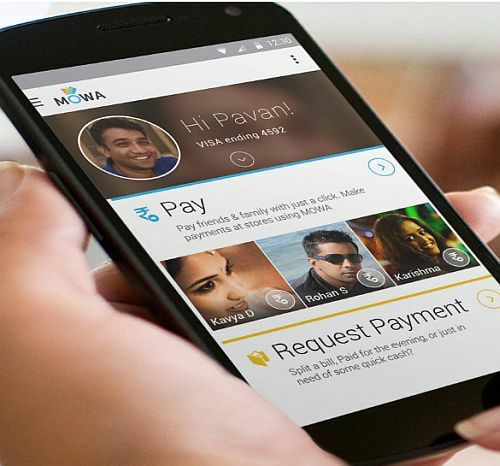 MobiKwik is no longer just a wallet,” Bipin Preet Singh, co-founder of MobiKwik, said earlier. The company is planning to make a big splash in the alternative credit scoring space by providing data to banks, so that a whole new segment could be targeted for loans and other financial services. “We are taking a much more collaborative approach as far as payments in concerned. There is a huge opportunity for alternative credit and credit scoring. It is all about data and how you use that data, based on which we can offer loans. This goes beautifully with our payments side. The more you make payments, the more you become eligible for higher amounts,” Singh added. Oxigen Services has decided on moving to providing financial services via micro-ATMs. The company claims to be pivoting around micro-ATMs as these cover all forms of payments systems. By 2020, it hopes to deploy 200,000 micro-ATMs throughout the country. The mobile wallet has also announced the launch of a prepaid debit card-based expense management solution, in collaboration with RuPay and RBL Bank. The company hopes to gain the first-mover advantage in the corporate billing, reimbursements and payments segment, which industry analysts say is worth $20 billion. “We are now getting into corporate expense management, making universities cashless as well as working with transport companies for cashless plying of trucks and commercial vehicles. These are different new use-cases we have on the platform,” said Ankur Saxena, vice-chairman and CEO, Oxigen Group. Paytm wallet, the dominant player in the segment, is not just a payment device anymore. One97 Communications, which owns the wallet after the launch of Paytm Payments Bank, is planning to come out with a slew of financial services such as mutual funds, insurance and gold bonds and has already started as many as three new companies to bring out these products. Photograph: Kind courtesy, Ikaaz Software.